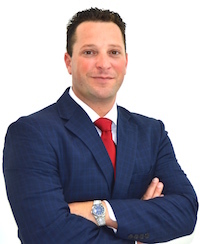 South Florida Defense Attorney Richard Ansara of The Ansara Law Firm successfully defended a client charged with manslaughter following a 2013 fatal shooting in Boca Raton. As The Sun-Sentinel recently reported, Palm Beach County Circuit Judge Glenn Kelley dismissed the second-degree felony case against 25-year-old client Joshua Henry of Pompano Beach. Henry originally faced up to 15 years in prison. He is now a free man. Ansara aptly argued that the events resulting in the death of Justin Holt, 22, were the result of a “tragic accident,” not criminal action. It was undisputed that Henry’s co-defendant in the case, 22-year-old Erin Steele, had fatally shot Holt, her boyfriend, with a gun that was legally owned by Henry, who brought the weapon to the Boca Raton residence. However, Steele maintained she didn’t know the gun was loaded. Both Steele and Henry were arrested and charged with manslaughter, which under F.S. 782.07 is a second-degree felony. The statute requires prosecutors to prove defendant killed a human being by act, procurement or culpable negligence without legal justification. Establishing culpable negligence per F.S. 784.05 requires showing defendant acted with reckless disregard for human life or the grossly careless disregard for the safety and welfare of others. Court records showed defendant Henry was visiting a friend at her apartment. At one point, he took a handgun from his vehicle to show his friend how to use the weapon without the clip. He was a concealed weapon permit holder and was in lawful possession of the gun. Soon after, Holt arrived at the residence and Steele got there soon after, as did another friend. The friends were drinking beer and smoking marijuana while reportedly taking turns holding the gun and practicing firing it while it was unloaded. Afterward, Henry took possession of the firearm, replaced the clip and put the gun on the counter of the kitchen. He stood nearby talking to a friend when defendant Steele picked up the gun, aimed it at her boyfriend and pulled the trigger. Holt died as a result of his injuries. In March 2015, Steele accepted a plea deal from prosecutors in which she agreed to plead guilty to manslaughter in exchange for no prison time. Instead, she was sentenced to seven years of probation. If she completes her probation without any additional offenses, she won’t have the stain of a permanent felony on her record. As the judge noted in his ruling granting Ansara’s request for dismissal, Henry never told the others at the group he had reloaded the weapon when he put the clip back in. While that may be an argument for negligence, mere negligence alone isn’t enough to support a charge of manslaughter. To rise to that level, it must be culpable negligence. Judge Kelley agreed with Defense Lawyer Richard Ansara that this was an accidental shooting.